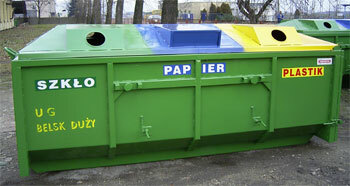 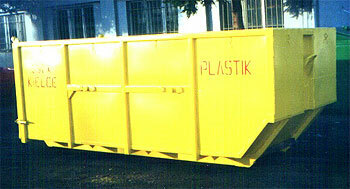 Designed for collecting and disposing of the recycled waste (glass, plastic, paper). 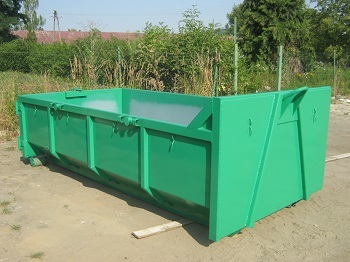 There are appropriate holes on the top cover of the container placed on its both sides, depended on the kind of the collected material (plastic, glass, paper). 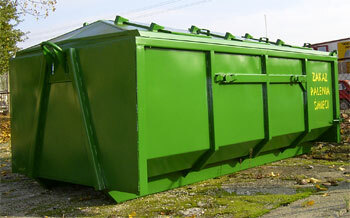 Top cover painted adequately. 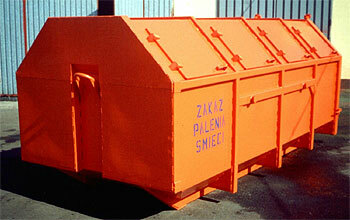 A container divided into 3 parts, separated by movable plates, secured with pins opened from the outside.